I am no skinny-mini. Nope. Not even for a second would anyone refer to me as a skinny girl. I'm more the athletic, muscular type with a large romp on the back side. And don't event get me started on my thighs. They have been the bane of my existence EVERY DAY. As early as fifth grade, when I suddenly blossomed into a mini-woman---when a child's brain can't keep up with all the physical changes; I can remember thinking Ugh these thighs. No one has thighs (and I mean woman thighs) at the tender age of 10, oh wait, I did. I was teased and taunted by my older brothers, and all the blossoming took a toll on me emotionally. I didn't want to stand out. I wanted to look like everyone else. I just wanted to fit in and NOT be different. 25 years later I still want to blend in. Staring at a bunch of small thighed women in my work out class still evokes that same desire to be the norm. And reminds me that I still have this notion in my head about what the ideal body looks like on me--and it's not the one I see when I stand in front of a mirror. I've starved myself, I've worked out non-stop, I've fretted and complained. And then suddenly one day out of the blue, I got it. It may be a New Year, but it's the same old me. I finally became in agreement with my natural body shape. It's like I have been working against myself for so many years. Like I was a fish swimming up stream and the current wanted to take me in the opposite direction. And now I'm ready to go with the current. My natural curves are something I absolutely CANNOT CHANGE. It is called genetics, and maybe the occasional donut--but mostly genetics. And I can treat myself with the love and respect that it deserves or I can continue on for the next 25 years despising the creation that I was created to be. And all the self-hate is actually like a slow suicide, stripping me of my inner peace forcing me to be at war--with myself. Self-hate in any form is an agreement to be at war within yourself. And I just want to be at peace and live in peace. And I've realized that it is a gift to stand out. It is a gift to be different. It is a gift to NOT look like everyone else. Really, who wants to be the norm? If I really think about it, I don't. It's been a long hard journey of accepting that which I cannot change but honestly I wouldn't want it any other way. I love the same old me, thighs included. 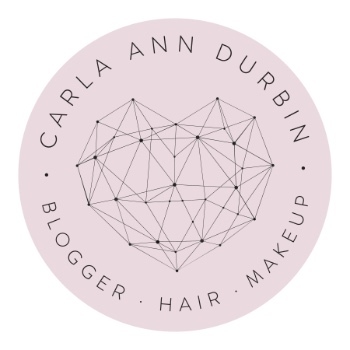 Carla Durbin - Thanks my friend!